Tokyo, Japan - Panasonic Corporation conducted a demonstration experiment of its spectator solutions for disabled sports at the blind football international friend match held at the Foot Messe Omiya (Kita Ward, Saitama City) in Japan on March 20, 2017. These solutions used ICT to transmit images from the competition as captured from various angles and also provided additional information such as an explanation of the rules. This demonstration experiment was conducted with the cooperation of the NPO Japan Blind Football Association at the "Saitama City Normalization Cup 2017," a blind football international friendly match between Japan and Brazil. Blind football is based on the rules of futsal (5-a-team football), and uses a ball that makes a sound as it rolls to enable players with visual impairments play football. All players, except the goal keeper, wear eye masks to completely block their vision during play. For spectators watching blind football, the rules may be hard to understand, and depending on where their seats are, it is hard to see what is going on by the side fence. As sound is incredibly important to the players, spectators must keep quiet during play, and no stadium announcements are available to help explain the action. Moreover, many disabled sports do not have dedicated facilities, so when there is an event, organizers must install and de-install on the same day. This demonstration experiment tackled these challenges and explored the usability of these solutions and their ability to provide an experience like never before to all spectators, irrespective of their abilities and disabilities. 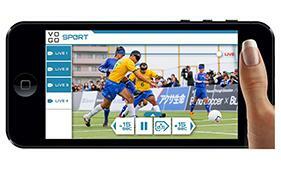 Footage of the match, with commentary, was distributed free of charge to mobile phones using the multi-video distribution and sports presentation system for personal devices, "VOGO Sport," to which Panasonic's subsidiary, Panasonic Information Systems Co., Ltd., has exclusive sales rights in Japan. 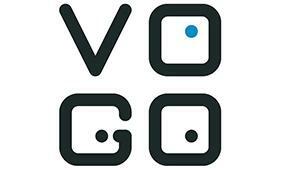 After users downloaded the application onto their smartphones and connected to the Wi-Fi spot "VOGO LIVE"* available within the stadium, spectators were able to not only enjoy the match from a wide range of camera angles, but also watch replays, slow motion, and zoom in on the footage. In the past, offense and defense play near the side fence, one of the most exciting moments in blind football, had been hard to see from the stands, but by switching camera angles, viewers could now catch all the action. By zooming in, people with weak eyesight were also able to enjoy the dynamic action up close with the video. Furthermore, in blind football, as there cannot be any stadium announcements, information about the match is provided in real-time via FM radio. 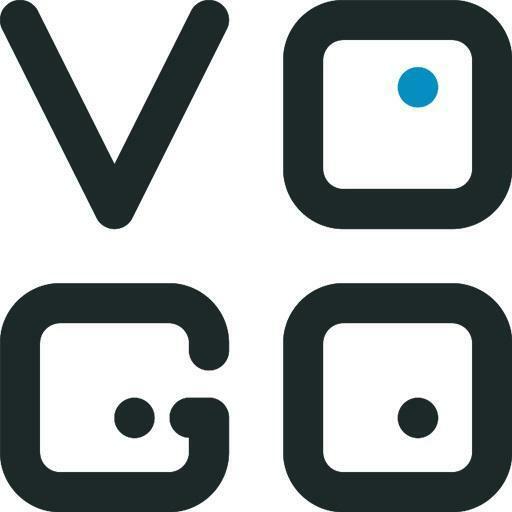 During this demonstration experiment, the FM radio audio was also incorporated into the VOGO system and signal distribution. This service lets you listen to the commentary and follow the action, even without a radio with you. Panasonic also installed a 182-inch large screen LED display as well as ribbon LED boards by the pitch. Match footage, player information, basic rules, explanation about fouls, and the spectator dos-and-don'ts were shown on these displays. In blind football, the sound of the ball and players' voices are key, so until now real-time commentary of the match as stadium announcements were not allowed. However, this solution helped first-time spectators better understand and enjoy the game. Through sports for the disabled, Panasonic will aspire to create an inclusive society and provide products and services that are kind to all, including people with disabilities and the elderly. Panasonic will also contribute to raising the awareness of disabled sports and offer new ways to enjoy competitions.